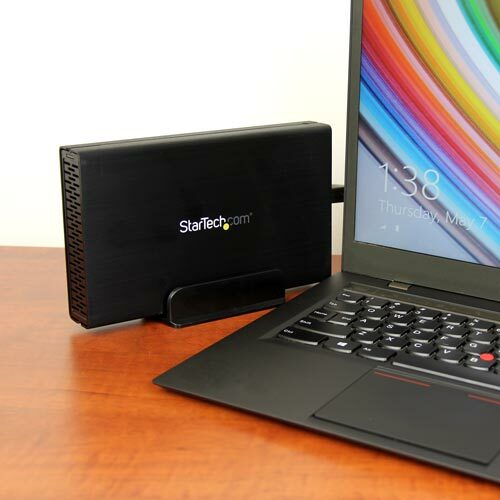 Now, get the speed and capacity you want in external data storage. 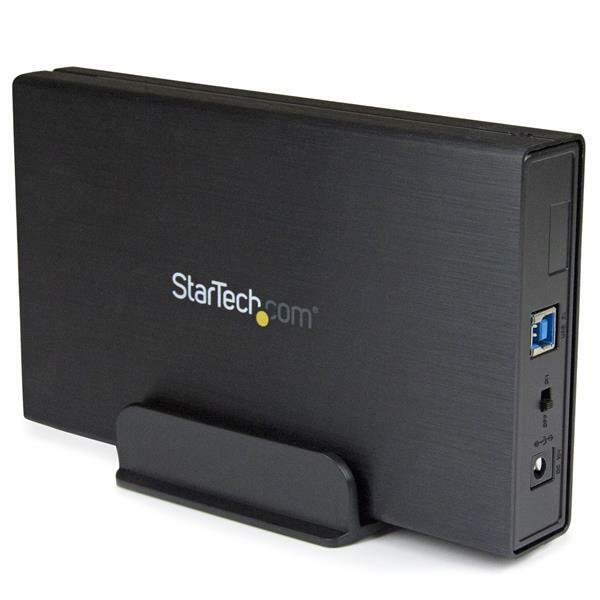 This single-drive enclosure for 3.5” SATA hard drives gives you high-speed USB 3.1 Gen 2 (10 Gbps) performance with a large drive capacity. 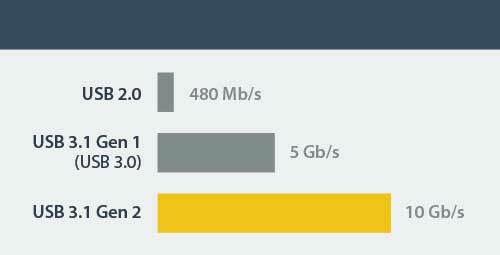 USB 3.1 Gen 2 gives you greater bandwidth and speed with file transfer rates of up to 10 Gbps - twice the speed of USB 3.0 (USB 3.1 Gen 1) technology. It lets you leverage the high performance of the latest SSHDs and hard drives, while alleviating bottlenecks in your data transfers. The clean and simple design makes this enclosure the perfect desktop companion for your Mac or PC. 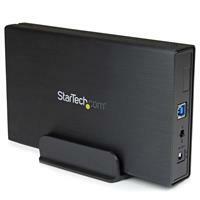 It’s made of durable aluminum with a fan-less design that ensures quiet operation. It also comes with a vertical stand so it occupies minimal space in your work area. 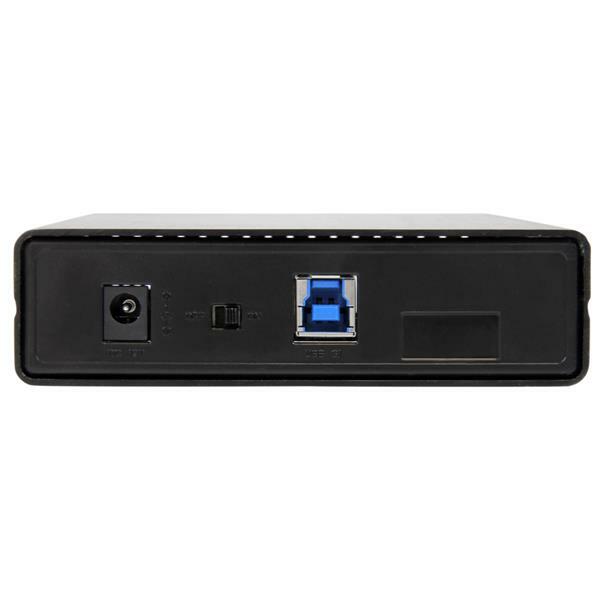 This versatile enclosure comes with a USB Type A-to-B cable, providing backward compatibility with existing USB ports or hardware. It also provides UASP support for enhanced performance. 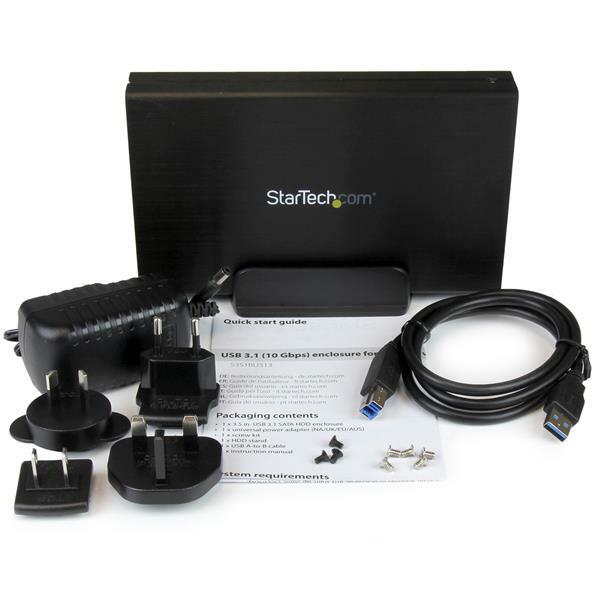 The S351BU313 is backed by a StarTech.com 2-year warranty and free lifetime technical support.